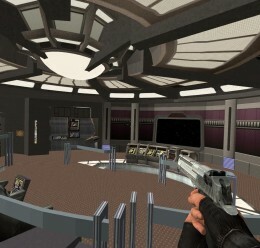 This is NOT a newer version, as only the Exterior.vtf has been updated with original ST: Legacy light maps. There should be no problem with players using the previous ship in the same server with this one, other than one looking worse on darker maps. 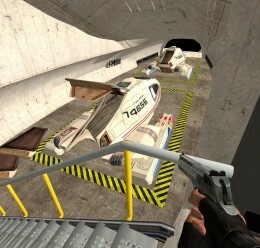 -Shuttlebay, Transporter Room, Ready Room & Corridors by me! -Starship is comprised of 3 objects which can be hinged or welded - the Hull & 2 engines. 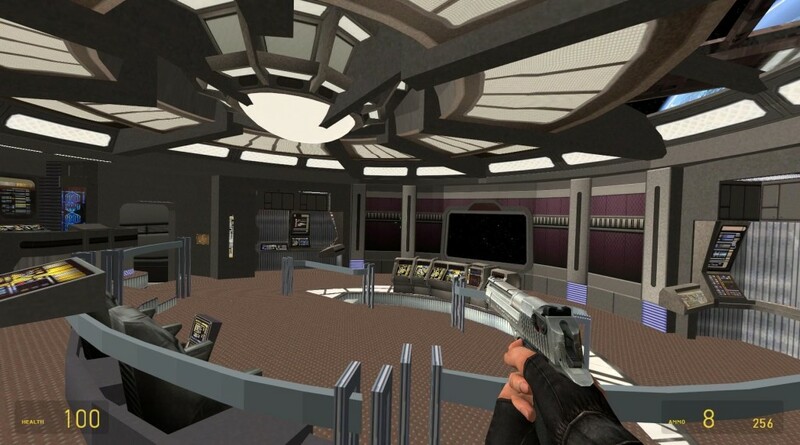 -Ship's interior rooms include Bridge, Transporter Room, Ready Room, & Shuttlebay. 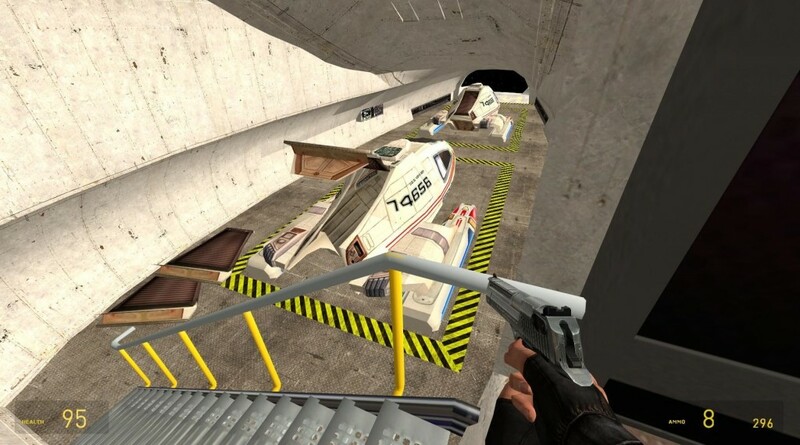 -Shuttlebay can carry up to 2 Type 9 or Type 6 Shuttles, one behind the other. -Ship's engines feature a small, player accessible interior to mount thrusters etc. 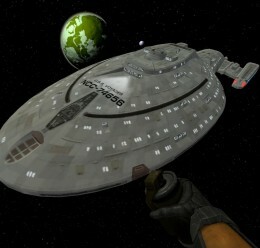 -Simply drop the 'USS Voyager (v1)' folder in your 'addons' folder. Models can only be spawned from the browse tab, not the spawn menu. 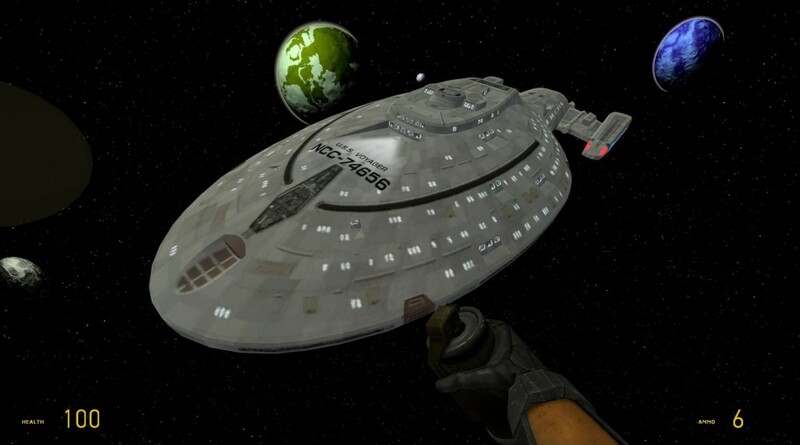 USS Voyager (v1) <-- Addon folder!